New stem cell research suggests indicators of schizophrenia are present in early neuron differences, supporting the theory that the risk of developing the disease may begin in the womb. Scientists at the Salk Institute have uncovered evidence of strange behaviour in the early development stages of neurons generated from the skin cells of people suffering from schizophrenia. The findings of the study, published in Molecular Psychiatry, suggest the origins of the disorder may lie in the brains of babies still in the womb. Studying schizophrenia has until recently proved very difficult for scientists, as they have had to examine the brains of patients after death. However, the brains of these patients had often been damaged by age, stress, medication or drug use. Stem cell technology enabled the Salk scientists to overcome these hurdles. 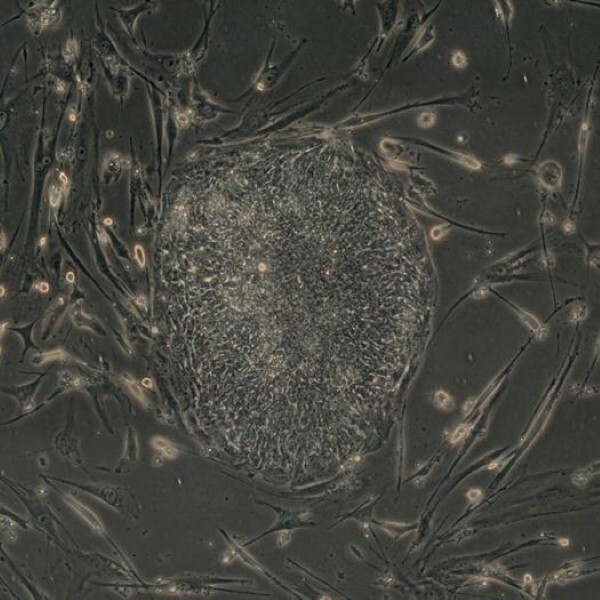 They took skin cells from patients, encouraged them to revert back to an earlier form and then prompted them to grow into very early-stage neurons (dubbed neural progenitor cells or NPCs), which are similar to the cells in the brain of a developing fetus. The researchers carried out tests on NPCs from the skin cells of four patients with schizophrenia and six people without the disease. In one test, they looked at how far the cells moved and interacted with particular surfaces; in the other, they looked at stress in the cells by imaging mitochondria. The results of both tests demonstrated that NPCs from people with schizophrenia differed in significant ways from those taken from unaffected people. Unusual activity was detected in two major classes of proteins in cells predisposed to schizophrenia: those involved in adhesion and connectivity and those involved in oxidative stress. Cells derived from patients with schizophrenia tended to have aberrant migration (which may result in the poor connectivity seen later in the brain) and increased levels of oxidative stress (which can lead to cell death). These results appear to support the theory that events occurring during pregnancy can contribute to schizophrenia, even though the disorder does not tend to manifest until early adulthood. "The study hints that there may be opportunities to create diagnostic tests for schizophrenia at an early stage," said Fred Gage, Salk professor of genetics.